We write to you as long time Airbnb “super hosts” and guests. We have always greatly enjoyed working with Airbnb, both as hosts and guests. But after your blatantly antisemitic and discriminatory decision to delist only Jewish homes in the disputed territories in Judea and Samaria, we are afraid that we will no longer be able to work with Airbnb, particularly since Airbnb’s action are not only a craven capitulation to the evil despotic and antisemitic forces that throughout history have sought to boycott Jews and Jewish businesses, but also a blatant violation of Airbnb’s own written policies. Airbnb’s website claims “Discrimination has no place on our platform.” But, discrimination now plainly has a major place on Airbnb’s platform, if one happens to be a Jew living or renting a home in the Jewish people’s indigenous, historical and religious homeland, in Judea and Samaria. Airbnb’s defense of its discriminatory decision – the assertion that Airbnb is delisting the Jewish homes because Airbnb has adopted a new “Disputed Regions” policy, does not remotely pass the laugh test, let alone a test of good faith. There are literally numerous “disputed regions” in the world – Cyprus, Tibet, Taiwan, Crimea, Western Sahara and dozens more (see, Wikipedia’s long list of disputed territories). Yet, none of them have been affected by Airbnb’s ostensible new “policy.” Airbnb is literally singling out only Jews and Jewish communities and homes for this discriminatory and punitive treatment, all while Airbnb ignores the fact that Israeli Jews cannot rent from Airbnb hosts in over 20 Arab countries. It is the height of antisemitism. In addition to Airbnb having no apparent issue working with non-Jews living in and renting their homes and apartments in literally dozens of “disputed territories” outside of the Jewish people’s historic, religious and indigenous homeland, Airbnb also has no apparent issue working in and with some of the most evil and despotic dictatorships on earth, all while they engage in punitive actions against Jews for simply living in Judea and Samaria. Treating Israel and Jews living in Judea and Samaria as if they are the only party with responsibility for why there isn’t a peace deal between Israel and the Palestinian Arabs’ (corrupt and dictatorial) leaders, all while ignoring tyranny, oppression, and egregious human rights violations throughout the world (and even by Arabs against other Arabs, including Palestinian Arabs), is the hallmark of the antisemitic boycott campaign against Israel. It is deplorable that Airbnb has decided to join forces with such an evil campaign. In addition to being blatantly antisemitic, this boycott campaign does not serve the cause of peace. It only hinders peace and immorally serves the cause of hate. First off, the boycott campaign against Israel (also known as BDS) immorally and incorrectly imposes the entire blame for the absence of peace on Israel. It fails to acknowledge that on at least three occasions since 1993 Israel has offered up a peace deal that would have created the FIRST EVER independent Arab state west of the Jordan River – in this “disputed region” and on all three occasions, the corrupt and tyrannical Palestinian Arab leadership refused to accept these offers and could not even be bothered to make a counteroffer. Yet, there has never been a call to boycott these despots or their respective terrorist enterprises for perpetually saying “no” to every peace deal offered to them. Second, the antisemitic BDS campaign – which Airbnb is now an immoral participant in – hinders peace because it encourages the Palestinian Arabs’ leadership to continue to reject all compromises and solutions to the conflict that do not involve the annihilation of the one Jewish State in the world. It also encourages all of those who are outside of the region, but also hate the idea of Jewish sovereignty anywhere in the land of Israel, to continue to support – both politically and financially – the continued rejectionist and absolutist mentality that has dominated the Arab-Israeli conflict for decades and made a genuine peace deal impossible. The main obstacle to peace between Israel and its neighbors — as demonstrated by Arab League secretary-general Azzam Pasha’s warning in 1948 (right before 7 Arab armies attacked Israel): “If the Zionists dare establish a state, the massacres we would unleash will dwarf anything which Genghis Khan and Hitler perpetrated,” as we all as by the Arab League’s famous “three No’s” in Khartoum, Sudan in 1967 (“No peace with Israel, no negotiations with Israel, no recognition of Israel.”) — has always been the despotic Arab countries belief that if they simply reject all efforts to make peace with, or even “normalize” relations with Israel, then eventually they will destroy Israel. Encouraging the antisemitic BDS campaign does the same thing. It signals to those who want to destroy Israel — which are all of the major promoters of BDS — that they should continue to reject compromise and making the concessions that are necessary to peace, in the (misguided) hope that BDS will somehow dramatically strengthen their hand and dramatically weaken or even destroy Israel. The antisemitic BDS campaign – which Airbnb is now unfortunately a part of – is also immoral because its leaders will never be satisfied with a peaceful “two state solution.” Its leaders simply do not believe in the right of the Jewish people to have sovereignty, independence and self determination anywhere in the land of Israel. Not in Tel Aviv, Haifa, Jerusalem, let alone in Judea and Samaria. Pre-1967 and post 1967 borders are actually irrelevant to them. The principal leader and founder of the modern BDS campaign, Marwan Barghouti, has repeatedly expressed his opposition to Israel’s right as a Jewish state, within any borders. To put it bluntly, the BDS campaign, which Airbnb is now a part of, is opposed not only to Jews living in and building homes in Judea but to Israel’s very existence. Israel is among most democratic nations in the world. It is certainly the most democratic nation in the Middle East and North Africa. Its Arab citizens enjoy more rights than Arabs anywhere else in the world, including in Tunisia, which for the last 7 years is the only Arab country ranked even as free by Freedom House (though Freedom House recognizes how tenuous this new Tunisian democracy is). Israeli Arabs serve in its Parliament, in its Courts and even on its Supreme Court. An Israeli Arab Supreme Court Justice relatively recently sentenced to jail Israel’s former President (who is Jewish); can anyone imagine the converse happening in an Arab country? Israeli Arabs are free to criticize Israel. T and often do, including in its Parliament (the Knesset). Israeli Arabs enjoy the same free speech, free press and assembly rights as any other Israeli. Unlike Israel’s neighbors, including the despots running the Palestinian Authority and Hamas, Israel has a superb record on women’s rights, gay rights, and numerous other civil and human rights. It has a free and robust press. Again, among the most free press in the world. And anyone in Israel, even noncitizens of any faith or ethnic background, can seek redress for Israeli government actions in the Israeli court system. That right does not exist in any Arab country and it also doesn’t exist in numerous other countries throughout the world. Yet Israel is the only country in the world targeted for boycott by the BDS campaign, which Airbnb is now an ignoble participant. Airbnb is participating in directing a sanction against a state with one of the best human rights records in the world; and it is the only Jewish state in the world (out of literally dozens of official Muslims and Christian countries), all while Airbnb ignores numerous human rights violators through the territories where it operates, as well as numerous other “disputed regions” throughout the world. The antisemitic nature of this action by Airbnb is both plain and horrifying. As Alan Dershowitz has also made clear, the antisemitic BDS campaign, which Airbnb is now a part of, is also immoral because it encourages a different standard of judgment and response regarding human rights violations. By demanding more of Israel, the world’s only Jewish State, it effectively demands and expects less of other countries, people, cultures and religions, thus inflicting further injury and perpetuating further harm for the victims of egregious human rights violations inflicted by others, including on Palestinian Arabs (who are often tortured by Hamas and the Palestinian Authority, subject to numerous discriminatory laws in Lebanon, and slaughtered in Syria). Airbnb is now participating in a discriminatory boycott of Jews that is not only immoral, it is harmful to the cause of peace. Change your position or risk not only violating your own anti-discrimination policy, but losing all customers and hosts who understand history and care about morality. Thanks for this great blog. I am a new host and have been successfully creating bookings from AirBnB. Most of my bookings are from them and I’m almost booked this month of Dec up to Feb. I was angered and saddened st the same time. I really like the AirBnB app being so easy to use and most of my bookings are from there. We being a Christian did not like what the company has recently done going against their own policy of non discrimination. Have you heard any updates on what’s the latest about this? We’re still hoping for the good outcome in favor of the Jewish hosts being delisted from the hosting website. Thanks for your reply. Just an update. Recently, Airbnb executives came to Israel to try to “understand” the situation. While they walked the walk and talked the talk, they reconfirmed their policy to continue to discriminate against Jews living in Judea and Samaria while continuing to do business with Christians and Arabs in the same region. 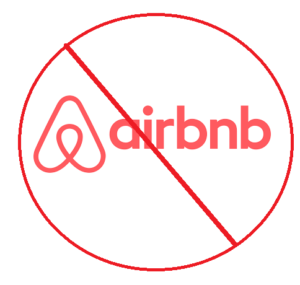 The boycott is on and hundreds, if not thousands of people around the world are refusing to do business with Airbnb. A Friend of Israel and a Fan of Peace! As a successful Airbnb host, I just sent the email below to Airbnb asking them to rescind their decision. I informed Airbnb, and am prepared to cancel 16 upcoming reservations, explaining to each of these guests the reason for the cancellations. Please rescind your immoral and discriminatory decision to eliminate Jewish hosts from the West Bank/Judea and Samaria region of Israel immediately! I have enjoyed a growing relationship with Airbnb as a host, however if you do not adjust this Airbnb policy I will have no choice but to cancel my upcoming 16 reservations with an explanation to my guests of Airbnb’s discriminatory decision. Airbnb has been swayed by and succumbed to pressure from a hostile and loud group(s) with an agenda seeking to delegitimize a people and a nation state. Airbnb’s reaction to this pressure is inequitable, without regard for balance, historical truth or reality of the situation and does not help the parties resolve the situation in a reasonable negotiated manner. If this decision by Airbnb to unfairly discriminate remains, then I must shift my relationship to other hosting websites. I am receiving tremendously positive feedback from my current listing and will bring this prestige and excellence to another hosting sight while explaining the reason for my cancellations to my 16 upcoming Airbnb guests. Airbnb’s policy around hosting in locations where there are disputes is being applied inconsistently and in this case unfairly targets the Jewish people who want to live in peace, side by side with neighbors from whatever ethnicity in a land and region where there was no prior nation state. The many attempts to achieve peace have not been pursued by the parties that have lobbied Airbnb to take this discriminatory position. This is hypocritical and does not serve Airbnb or the process of achieving a lasting and equitable peaceful arrangement. Airbnb’s decision to eliminate Jewish hosts in West Bank/Judea and Samaria creates enmity with large numbers of fair minded people. From a purely business perspective this decision will likely drive Airbnb users to other home sharing sites. If Airbnb wishes to responsibly play a constructive role in assisting parties in disputed regions, it will not punish one side unilaterally, but will encourage fairness, openness, discussion and debate. The change in Airbnb’s policy encourages and rewards those who do not want to approach the disagreements in a peaceful and equitable manner, rather delegitimizes and discriminates. It is very disappointing that Airbnb has not chosen to conduct itself in a forthright and moral manner. I urge you to rescind this decision immediately. There is a reason why the world thinks these are occupied territories, with illegal settlements. Most of the world in fact. Have you thought why that might be? (and no, its not anti-semitism)…. Well, considering that (a) under black letter international law, that Jewish communities in Judea are not illegal (as Israel took control of the territory from Jordan in a defensive war Jordan started, after Jordan had previously conquered this same land in a self-described war of annihilation of Israel that Jordan participated in 19 years previously) and per the Geneva Convention Israel is not forcibly transfering any of its population to the region (they are all living there volutarily); (b) Jews have always lived in Judea, including in places like Hebron for many centuries, until they were ethnically cleansed and by force kept from those lands for 19 years by the Jordanian Army; and (c) there are numerous other actual illegally occupied lands that don’t merit the world’s attention at all, including in Tibet, Western Sahara, Cyprus, Crimea, etc. ; pray tell what do you think the reason is for much of the world’s focus on Judea and Samaria (other than antisemitism)? Hint, it may also be political expediency and basic math, as the Muslim dictarships account for nearly half of the so-called Non-Aligned Movement in the UN. 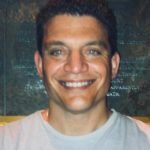 I was looking on the internet about Israel (I am visiting Christmas time again) and came across this blog. You guys are nuts. You hate arabs (on this blog), you imagine anti-semitism when there is none, your Palestinian distaste is no better than what you accuse Hamas and others of. Do you LISTEN to yourselves? Most people (I speak of most people, not Neo Nazis) really couldn’t give a darn about being anti-Semitic. Does the anger keep you guys going, you need it, is that what it is? Well, that was a fair amount of hyperbole. Please identify a single racist thing or evidence of “hatred for Arabs” that I have written on this blog. I served with Arabs in the IDF. As does my son currently. We certainly do not hate Arabs and we wish that the Arab controlled lands would be as democratic as Israel, and that minorities in Arab controlled dictatorships (Kurds, Christians, Copts, Yazidis, etc.) would have the same opportunities and freedoms as minorities in Israel. And if you think “most people” don’t give a damn about being antisemitic, then you are not paying any attention to either recent history or current events. 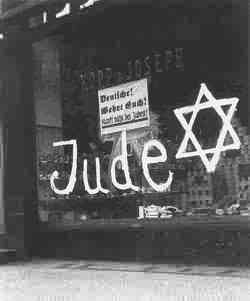 Hatre crimes against Jews in both Europe and America are dramatically on the rise (and have been for decades). And in the Arab world, Mein Kampf is a perpetual best seller, almost all Jews were forcibly removed from their homes, and antisemitic canards and conspiracy theories about Jews are widely believed and spread, often by the government controlled media in those countries. Your comment about Israel being a democracy only for Jews is flat out wrong. The commander of Israel’s Border Police in Jerusalem before his recent promotion is an Arab Muslim. Israeli Arabs serve on Israel’s Supreme Court, an Israeli Arab judge sentenced its Jewish president to prison. Does that sound like a democracy that works only for Jews? Did you know that in addition to Supreme Court Justices, Israel has Ministers, Legislators, Diplomats and Generals in the IDF who were Arabs? That Israel’s 1.5 million Arab citizens are the freest Arabs in the entire Middle East. You claim to have visited Israel. From your hyperbolic writing that doesn’t sound legit. But if it is you may want to visit with some Israeli Arabs and find out why the overwhelming majority would choose to stay Israeli over becoming citizens of any future Palestinian State. Magnus, you cannot say there was any hate towards Arabs in these posts. It only shows you came with a preconceived idea and you didn’t even bother to read. The hate probably comes from you. Bang on and perfect response. I am boycotting airbnb as well from here on out. Thx. And make sure you let Airbnb know why. Couldn’t have said it better. חזק וברוך! ה’ ירחם עלינו! אין עוד מלבדו! Thx so much. Make sure you let them know why you will no longer use their services. I have been a user of Airbnb services for several years, including on repeated trips to Israel. Having become aware of your company’s newly announced, discriminatory policy against Jews living in Judea/Samaria, I am writing to tell you that I — and many thousands of people throughout Jewish communities here in the United States and elsewhere — will no longer use your services. Before I leave, however, I want to explain something to your management that perhaps it does not understand. For (literally) thousands of years, the area known commonly today as the “West Bank” was known as Judea and Samaria. This was true internationally well into the 20th Century. Do you know why it is that we are called Jews? It’s because we come from Judea, and descend from, among others, the tribe of Judah. Indeed, other than a 19-year blip from 1948-1967, when the Jewish population of these areas was illegally, aggressively ethnically cleansed from them, and Jews were denied the right to visit their holiest places, there has been a continuous Jewish presence in them, and many of Judaism’s most important cultural, historic and religious sites are found there. Many seek to “take the Jew out of Judea.” This exclusionary notion extends even to the point of insisting that Jews should not be allowed to live in the Jewish Quarter of the Old City of Jerusalem. People who advocate such an approach are guilty of an apartheid-like mindset. By adopting a policy targeting the renting of homes belonging to Jews in Judea/Samaria — and only Jews in these areas, but no one else — Airbnb has embraced a racist, blatantly anti-Semitic policy; one that adheres to the notion that certain places should simply be “Judenrein,” off-limits to Jews. Under your misguided and offensive policy, for example, one of the greatest humanitarians I know, Yitz Glick (https://forward.com/news/israel/379221/a-doctor-without-borders-or-green-lines/), who spends his time treating sick and injured Palestinians (at no charge), cannot rent his home through Airbnb, because he is a Jew who lives in Efrat. In contrast, an Islamic Jihad member living in Gaza or Hebron, whose animating purpose in life is to attack and kill Jews, is free to list his home on your site, because he is a not a Jew. In a world in which anti-Semitic hate crimes are once again growing in their frequency and violence, Airbnb is now complicit. Shame on you. Great points Howard. Thanks for posting your comments. Airbnb no longer for you?